coaching and customized development tools, members are part of a continuing education program. A program that fits into your busy lifestyle. At a price, you can easily afford. 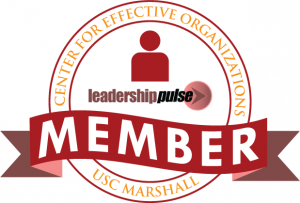 The Leadership Pulse™ started in 2003 by Dr. Theresa M. Welbourne. Managers learn from each other, in real time, using Energy Pulsing and executive learning with the Center for Effective Organizations. As an individual certified member, you are a key part of the learning network. As you build skills, add badges to your portfolio. As a leader associate member, you not only focus on your own skill development but also bring new learning to your team members. As the leader of an Employee Resource Group, you gain an additional level of recognition, as the influence of your learning could be brought to others within your ERG. 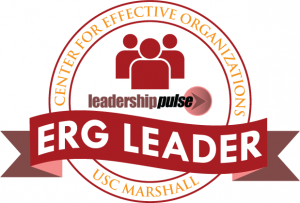 CEO at USC has been at the forefront of research to improve how effectively organizations are managed. 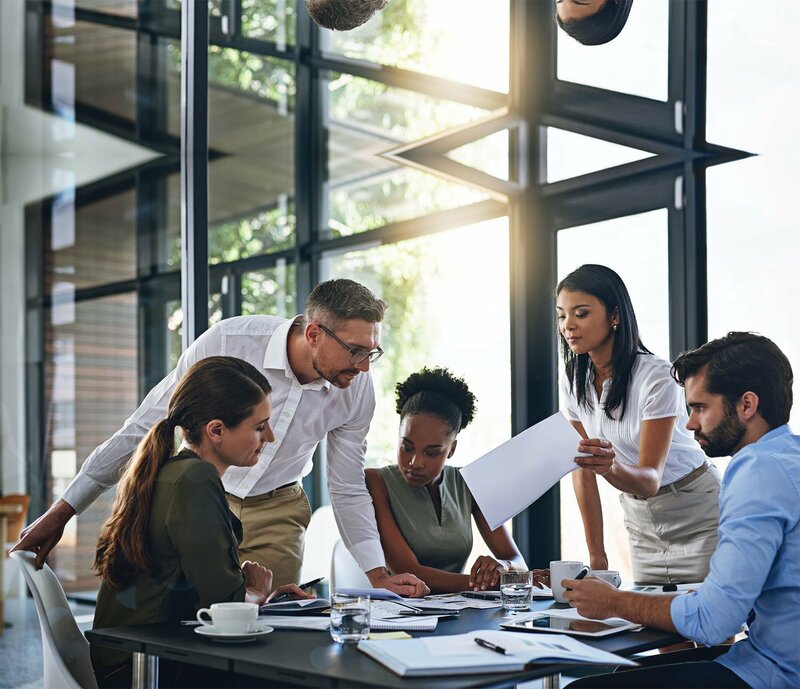 It brings together researchers and executives to jointly explore critical organizational issues that involve the design and management of complex organizations. 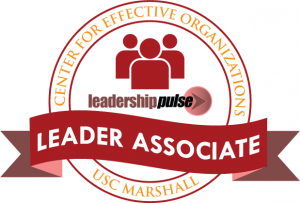 Through this partnership, members of the Leadership Pulse learn not only from the data they receive but also from the expertise of affiliates and professors who are leaders in their fields to help drive positive change in their own jobs and in their businesses. The Leadership Pulse uses eePulse’s unique approach to frequent pulsing where all individual participants receive their own reports, which include a personal diary. Participants track their own trends, learn from reviewing data and then can compare their results to benchmark data. Leader associates use team data to engage employees in conversations based on the employees’ reflective learning. eePulse was founded to commercialize Dr. Welbourne's research on employee energy and the drivers of growth in high performance organizations. She conducted this research while on the faculty at Cornell University, and then she later continued it at the University of Michigan. Today she conducts the research through her roles as a professor at the University of Alabama and as an afiliated research scientist with the University of Southern California’s Center for Effective Organizations. Leader Associates receive leader level energy reports for their teams, associate membership in CEO, invitations to CEO webinars and learning events, membership in the leader associate network, and members-only webinars and coaching calls. In these more focused conversations, leaders can uncover more from their data, learn from the researchers at CEO, and dialogue with peers who are facing similar challenges or opportunities.